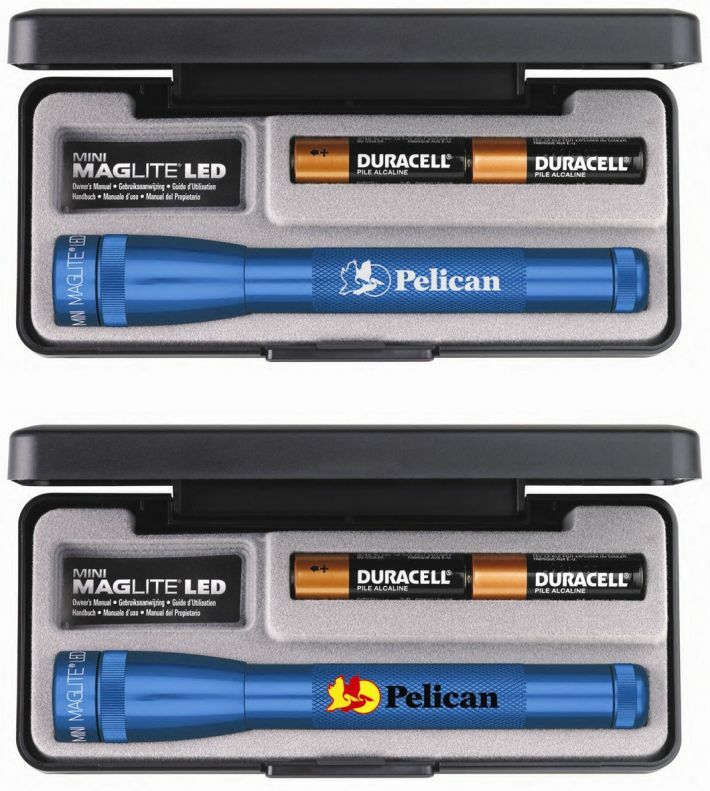 Get your logo custom Imprinted - Engraved MAG-LITE Flashlights. batteries, all packaged in a handsome presentation gift case. Your choice of imprinted - engraved MAG-LITE flashlights. Delivery from date of your Maglite order is 3 to 4 weeks. This promotional gift item is proudly Made in the USA. Price includes laser engraved on the barrel area 2 1/4" w x 1/12" h.
is permanent and is the recommended method for decoration. 1 color imprint on presentation case available, see Colors. A Logo does require an Illustrator ai, eps or pdf art file. Price includes four color process imprint on barrel 2 1/4" w x 1/2" h.
Factory 4CP imprint setup charge is $55.00. No running charge. Logo imprint method is highly durable and lasting decoration.